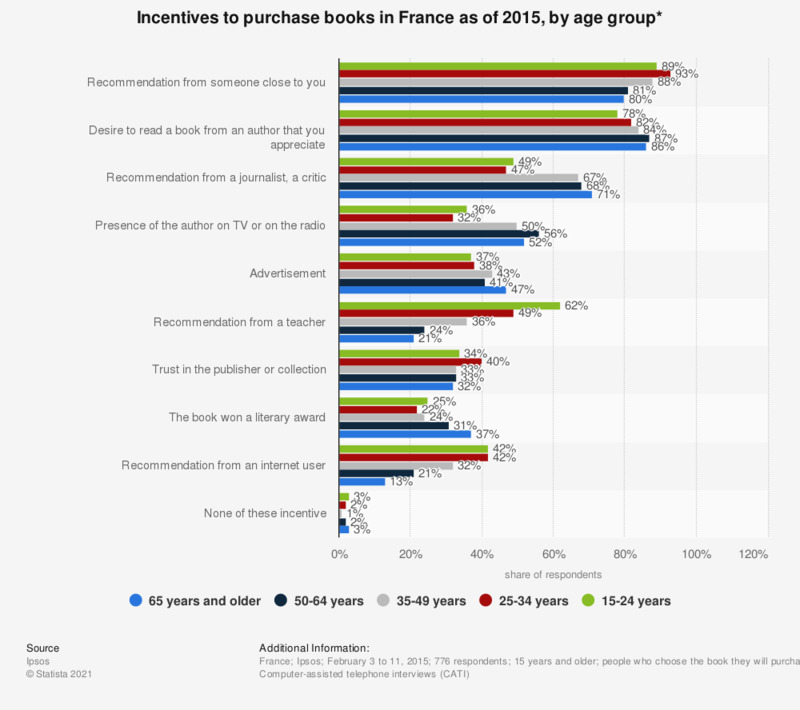 This statistic shows purchase incentives for books among French respondents as of 2015, by age group. It reveals that respondents aged 65 and older were the most receptive to recommendations from a journalist or a critic. However, only 13 percent of them cited a recommendation from an internet user as an incentive to buy a book.